What we know about childhood diseases and why scarlet fever is not so harmless childhood disease. What causes scarlet fever and what we should know about it. The problem with stray dogs, especially in larger cities is not new. We are still trying to solve it and without much of success, but many of us underestimate quite how dangerous it is for our children's health the uncontrolled coexistence on playgrounds and lawns of children and dogs. Let's mention a big danger - dog tapeworm /echinococcosis/. What is it and why is it so dangerous? Stem cells are primary human cells, which can multiply and transform into other types of cells - nerve, bone,, muscle, liver and others. This ability allows medicine to treat with them very hardly treatable diseases. Everyone knows that legallly or illegally /even via Internet/, young person today can find hundreds of psychoactive substances with different chemical structures and properties. Sunglasses perceive in most cases as one of our summer accessories when we buy them, we mostly want them to be modern and match with our summer outfits. This is why we are not considering them to be mandatory for our children. But this is a mistake! As important the umbrella is for protecting the head of your child, sunglasses are even more important to protect his eyes from strong sunlight. Camel milk contains large amounts of natural insulin and therefore very suitable for people suffering from diabetes. Camel milk is very different in composition and properties of cow's milk. 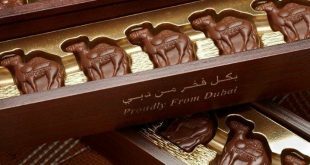 Autism, diabetes and other diseases can be treated with camel milk. Camel milk contains many times more vitamin C than cow's milk. Infectious mononucleosis is a disease that often startles parents when they hear the diagnosis. What is this disease and how it can be cured? Pediatricians, psychologists and sexologists agree that masturbation in young children is normal. Normal in the sense that it is not a vice, not a deviation from the norm, not a disease. One of the mistakes we make is that we start cleaning the mold to fix the aesthetics of the home, instead of going after the causes for the mold appearance.